Recently Delta-Phase delivered and installed a phenol measurement system for a chemical plant in Singapore. UC Irvine researchers are investigating local waste water treatment plants. They are particularly interested in monitoring for COD and turbidity. Delta-Phase staff has been working closely with Jon Duncan Professor of Hydrology at Penn State’s Department of Ecosystem Science & Management. Delta-Phase Electronics digital Cross Smart Sensor technologies demonstrate ease of use and compatibility with third party data logger products such as the Campbell Scientific CR1000X. Delta-Phase successfully participated in WEFTEC 2018, the Water Environment Federation's Technical Exhibition and Conference, held in New Orleans, Louisiana, USA. 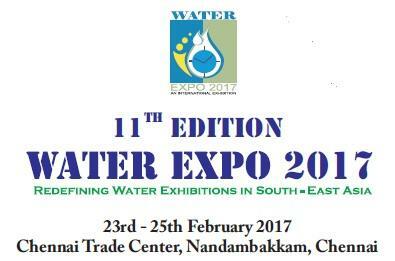 In order to develop Delta-Phase’s market share in India, the company attended the 11th Edition of WaterExpo 2017 organized by Water Today from 23rd to 25th February at Chennai Trade Center. With over 1000 exhibiting companies from around the world, Delta-Phase made its debut at WEFTEC 2016 from Sept. 24–28 at the New Orleans Morial Convention Center, Louisiana. Organized by UBM Asia, Delta-Phase participated in the VietWater 2016 Expo held at the Saigon Exhibition & Convention Center in Ho Chi Minh City, the commercial hub of Vietnam.